Today more people took to the streets calling for climate action than on any other day in history. From New York City to Rio, London to Delhi — we were everywhere. On Tuesday, more world leaders will gather in New York to talk about climate action than have ever been assembled before — 125 heads of state. They’ll be gathering with the knowledge that more people than ever are demanding action, not just words, and that their political future is on the line — as well as the future of the planet. 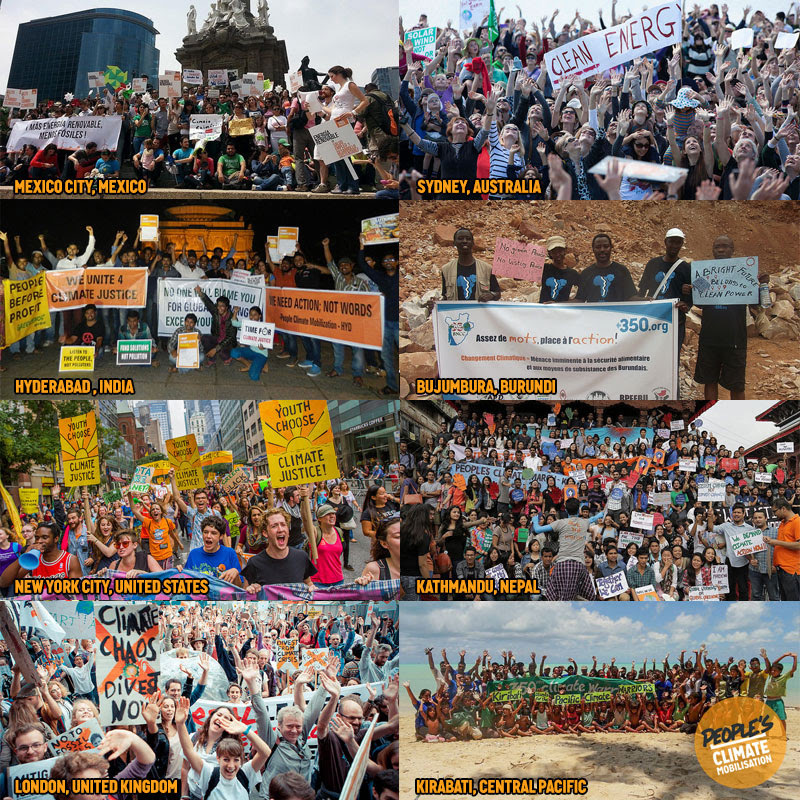 The ripples of the People’s Climate Mobilization are already spreading. A people’s summit outlining the path to a just transition away from fossil fuels starts today, and actions targeting corporate polluters in New York are ramping up. I want you to take a moment to appreciate the importance of what happened today. We are mobilising at the scale that science and justice demand, and it is beautiful in a way we could not have imagined. Now our work continues — and stronger than ever. 350.org is building a global climate movement. You can connect with us on Facebook, follow us on Twitter, and become a sustaining donor to keep this movement strong and growing.